There is a football match next door at Wembley Stadium. Kick-off for England vs USA will be at 8pm so you are advised to come early. TICKETS ARE STRICTLY NOT TRANSFERABLE except only through the Artist's authorised fan-fan exchange partner. See the Artist's website for details. 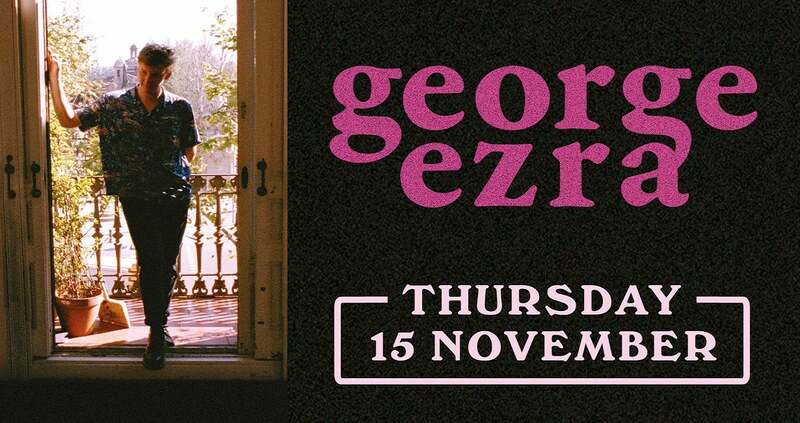 George kicked off his world tour in Australia this month and returns to the UK for a run of sold-out dates in the wake of the album’s release. He has also been confirmed for a number of summer festivals, including headline slots at Standon Calling, Boardmasters and Truck Festival. ‘Hold My Girl’ comes hot on the heels of another new song ‘Pretty Shining People,’ released last week, and current single ‘Paradise’, riding high in the top five of the UK iTunes chart. Like ‘Pretty Shining People,’ ‘Hold My Girl’ is accompanied by a lyric video which sees an increasingly desperate George performing karaoke to a woefully empty working men’s club. George Ezra is one of the biggest selling male artists of the decade. His debut album Wanted On Voyage is certified 4x platinum in the UK, gold in the US, and was amongst the top 10 biggest selling artist albums in this country in both 2014 and 2015, reaching #1 in the Official UK Chart and spending 122 weeks in the chart overall. In little more than 18 months Ezra went from virtual unknown to one of the international breakthrough artists of recent times: taking in a top 10 album in 10 countries; three sold-out UK tours; nominations for four BRITs, one BBC Music Award and an Ivor Novello.